This card is simple enough for classes, but it still provides a lot of fun! 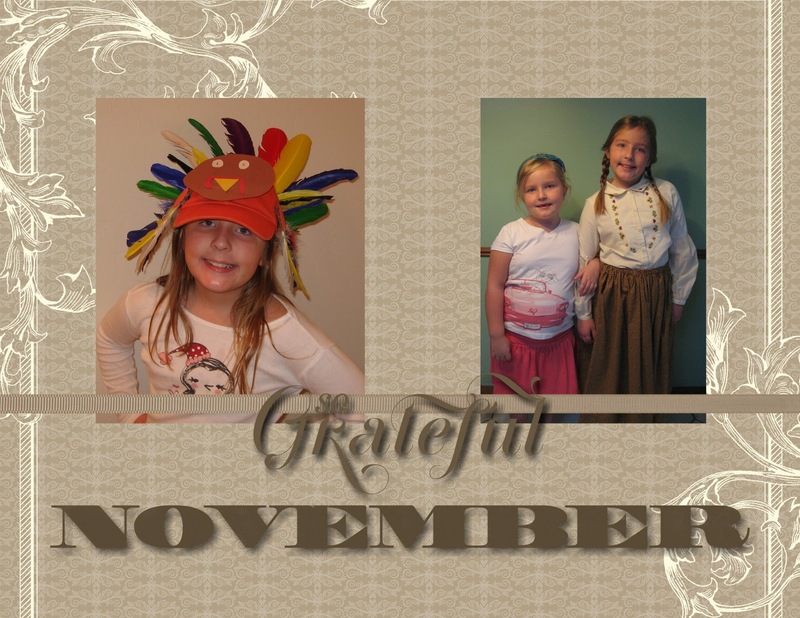 When we make this card next Thursday or Friday, class attendees may choose to use the "Celebrate You!" or "Hope Everything Looks Up Soon!" sentiments instead if they'd rather and even change the kite design, but as shown it makes a sweet Valentine. 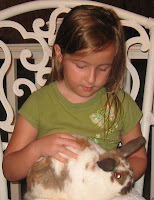 It isn't easy to resist rolling the pennies from side to side whatever your age. The Whisper White background looks nice and crisp against the Wild Wasabi base and grassy hill (Just Add Cake Designer Series Paper). The Pool Party colored sky looks fresh with Real Red and Pretty in Pink as accents and with Whisper White craft ink clouds. The spinner is SO easy to place on this card. (Punch the word window twice as far in as you can from the top. 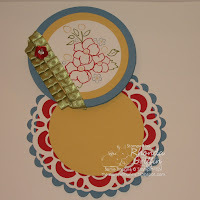 Then line up the 1/2 inch circle punch and punch as far in as you can from the sides-easy peasy!) Everyone will be thrilled when things work out this easily! 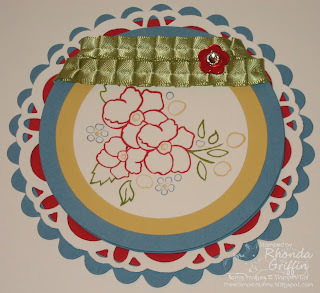 Welcome to the Stampin' Addicts Occasion Mini Blog Hop! We're displaying projects made with several of the great new Stampin' Up! dies, stamps and products available starting January 4th. 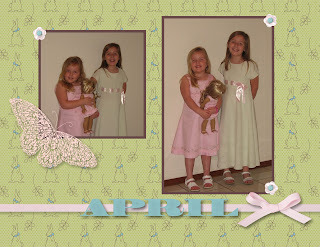 The mini catalog has a lot of different styles and fun new ideas! I'm using the Bordering on Romance set on page 11 of the Occasions mini. 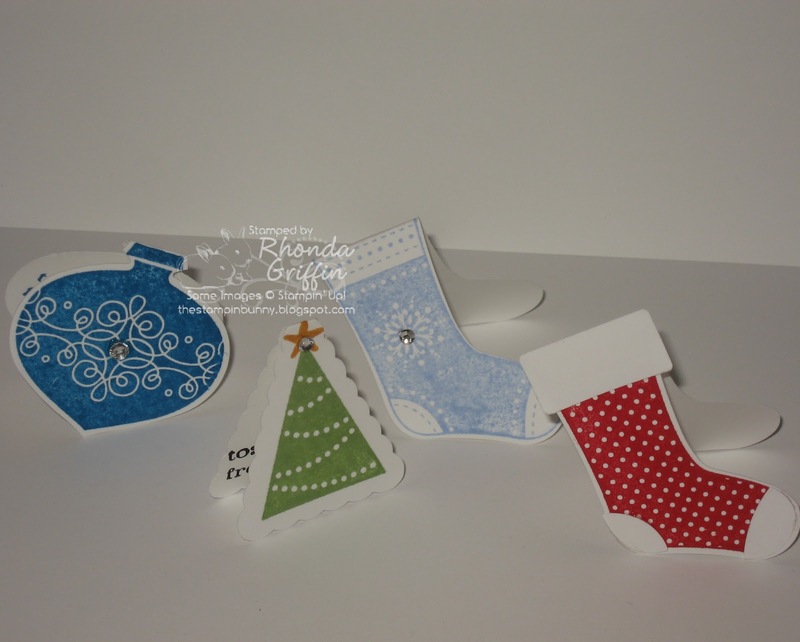 It has coordinating Edgelits and Embossing edges too which will make for a lot of fun possibilities. 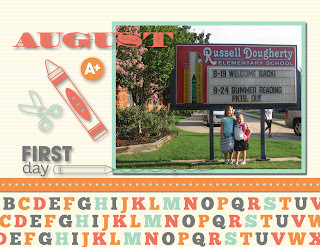 My first card uses the MOJO Monday sketch MOJO221. 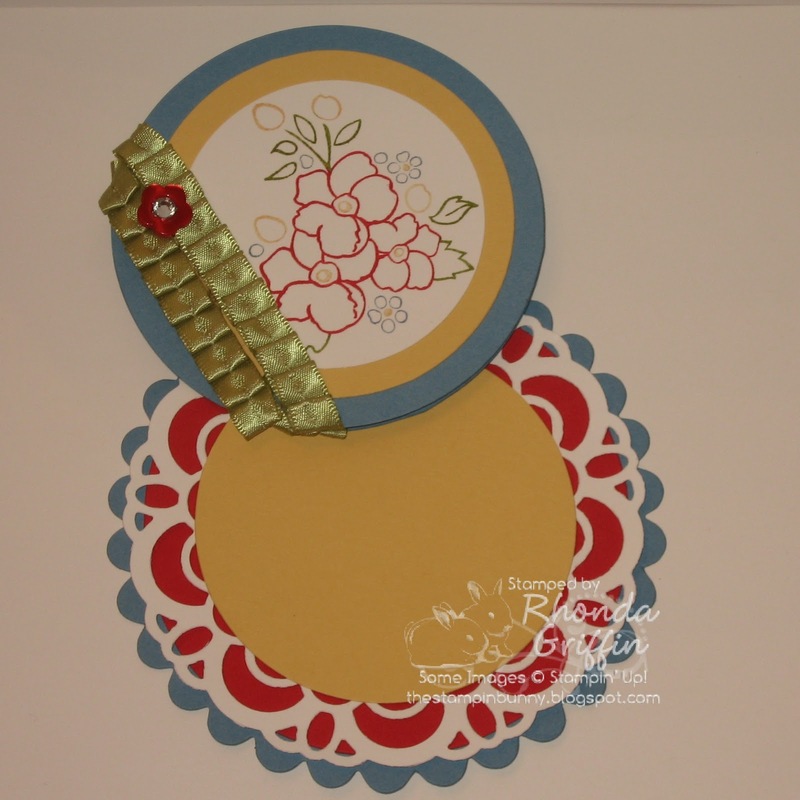 I like the set with these bright colors, and the new Doily Embosslit sets off the colored circle layers nicely. The card has a hidden brad which hinges at the So Saffron colored layers. 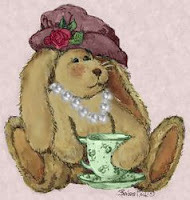 Now you'll want to continue ahead to Cindy's Heart's Delight Cards blog see her gorgeous designs with the Mixed Bunch set. 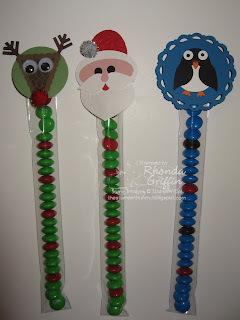 Planning what to eat when your day is devoted to stamping can be a challenge :), so I'm going to devote a few Friday posts to food planning ideas. Perhaps this post can help you think of something to do with whatever meat you have available that day. Jog your memory easily! Be sure to add a fish category if you like fish, and change the ideas for your family's likes. 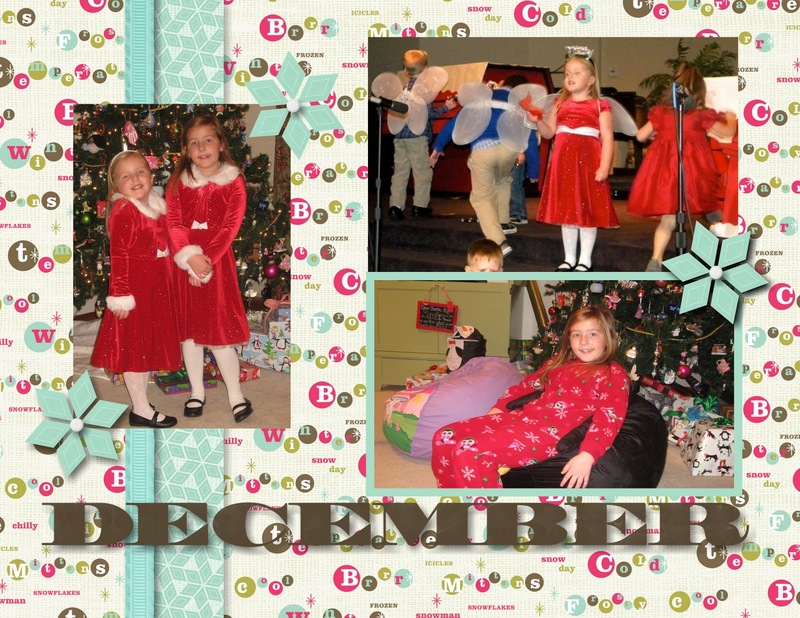 Wrapping up the year...I'll try to have some cards for you soon! 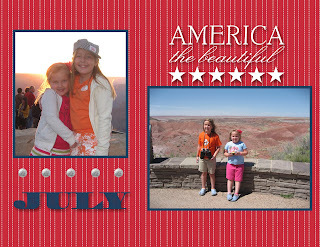 Not sure the Painted Desert is my idea of "the Beautiful" part of America, but it was worth seeing. I decided to skip March rather than make blurry faces. 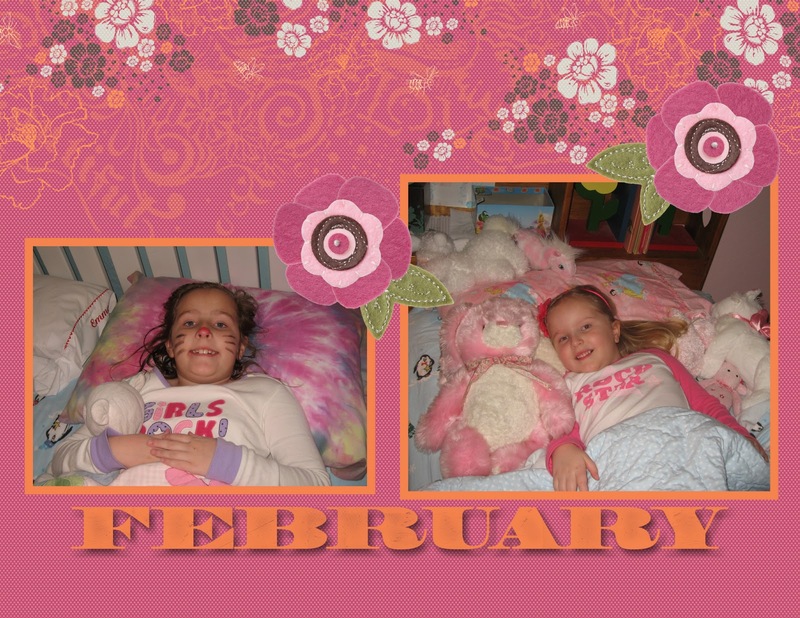 Their friends are smiling and looking at the camera in the birthday party pictures for March. Does anyone else remember the commercial with the lady dancing with her cats?? I love my calendar cats...my sweet girls! 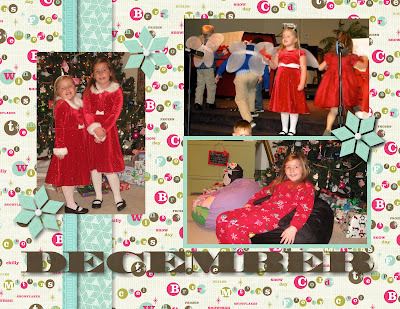 Busy wrapping presents this week, but I thought I'd post my 2012 MDS calendar pages this week. 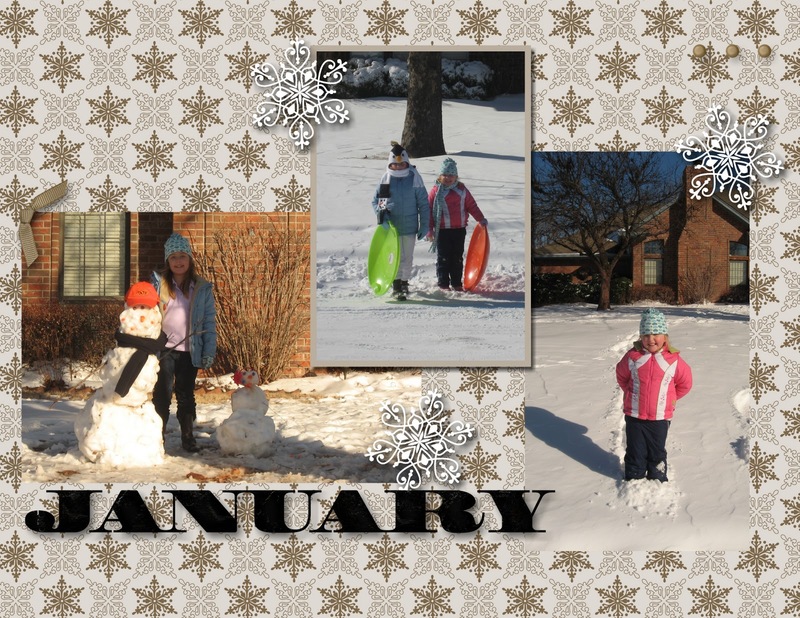 These are a lot of fun for me to make, and the grandparents LOVE them. 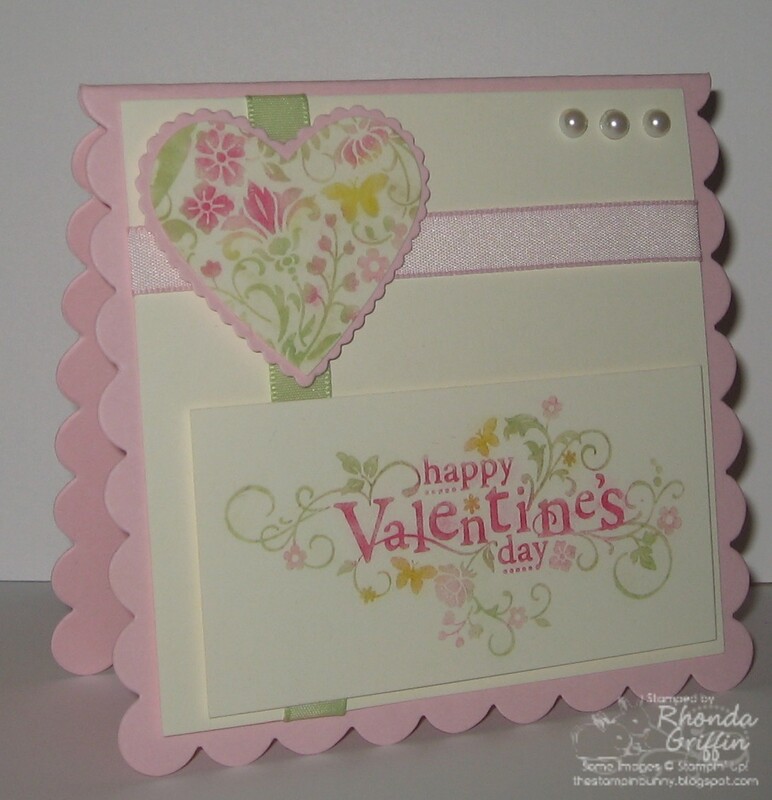 And I never noticed the word LOVE in the background of February's Sweet Pea dsp until I worked on this in MDS. For class this month, I used More Mustard, Old Olive and Real Red for a classic color combination with the dryer sheet technique. I had too many blue cards, so although it is unusual with snowflakes, it kept us from being bored. 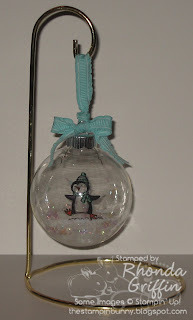 For the glitter, we used super fine gold glitter with the dazzling diamonds for a little extra sparkle. 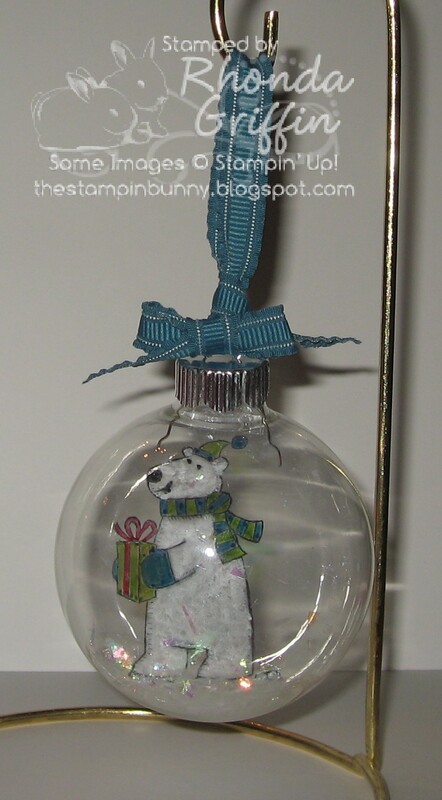 I think it is a great look and a combination of warm and icy looking for winter! The new dazzling details glitter glue made the whisper white snowflake shine as the focal point of the card. 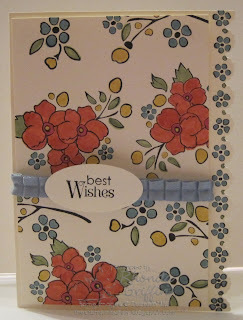 We made this card at last night's technique class because a customer requested to learn Poppin' Pastels technique. Our first Valentine used the sketch from the MOJO Monday blog. I turned the sketch, and used a heart in place of the button. 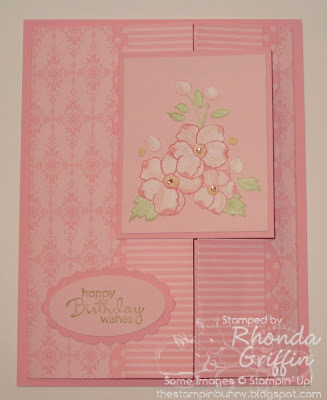 Stamped in Versamark on Very Vanilla cardstock the detailed images were fun to color in Daffodil Delight, Pink Pirouette, Melon Mambo and Certainly Celery chalks. 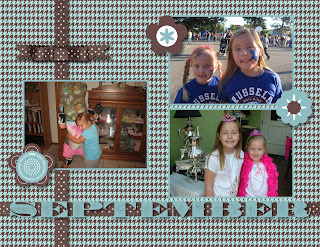 I CASE'd my friend Holly Krautkremer's gift to me again...This time it is one of Stampin' Up! 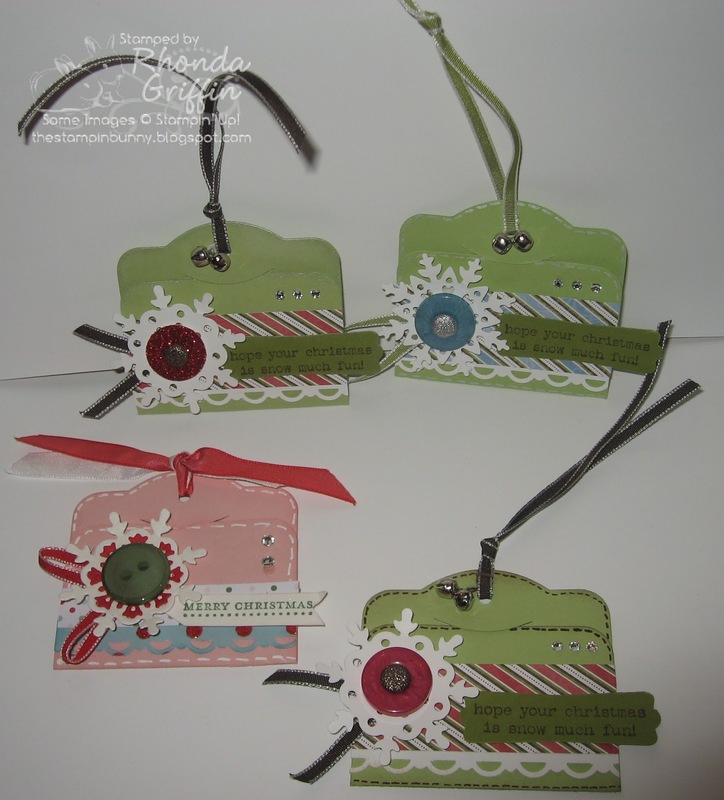 's fold up gift tags made with the Big Shot. Holly's is the adorable pink one. 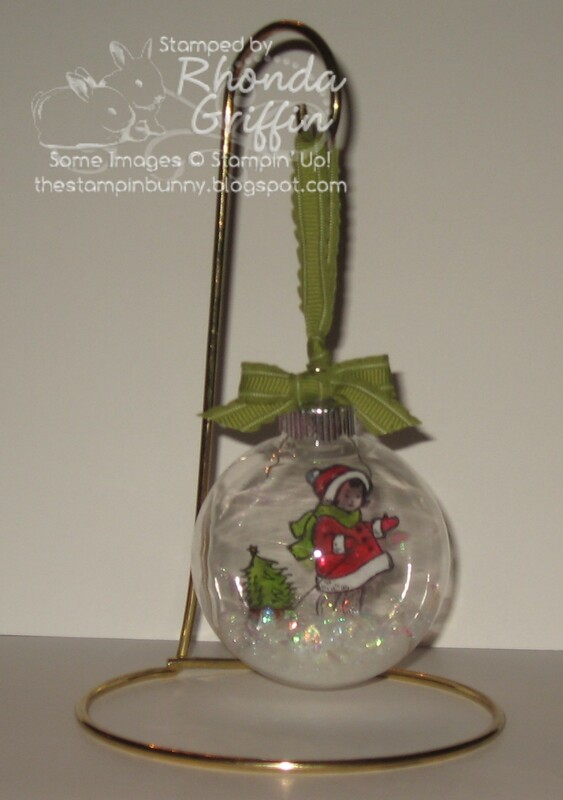 I changed the decoration a wee bit, added two jingle bells and have these available for you to make with button (for $1.25 a piece) or without button and with shimmer paper instead (for $1 each) on Saturday, December 10th at Gift Class. 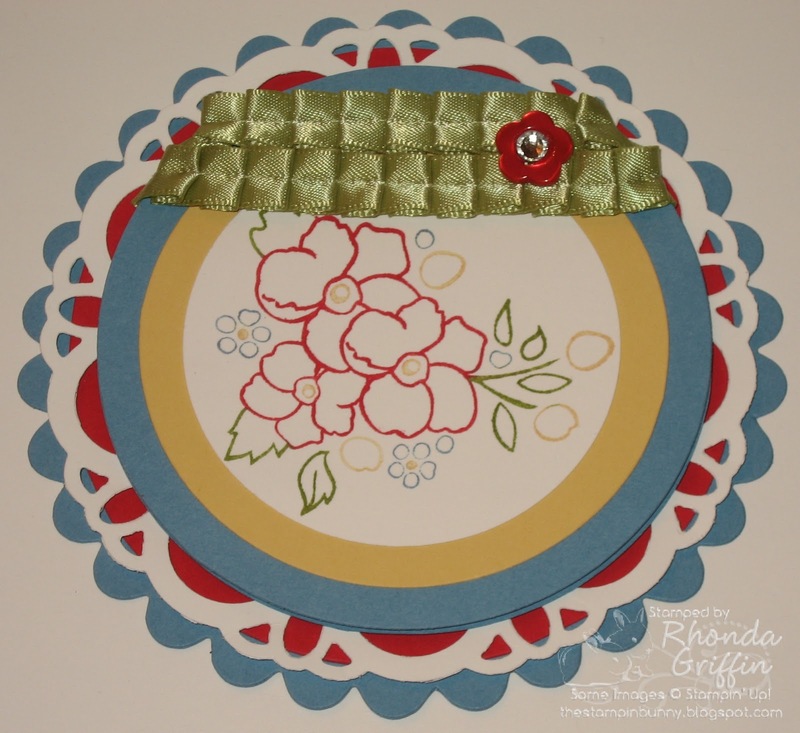 You can choose to sponge with shimmer paint like the top left one, use white shimmer stitching like the top right one or use brown marker for stitching like the bottom right one. This card is a CASE of a CASE...The original crafter was Trish Miles, and I received the Wisteria Wonder colored swap shown below from Desiree Spenst. 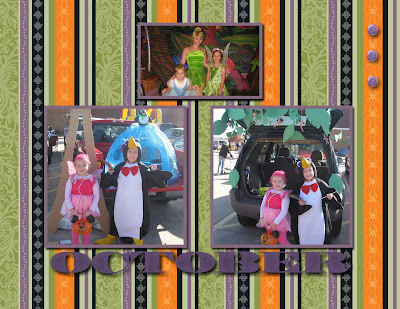 I really wanted to use green for the trees so I did. 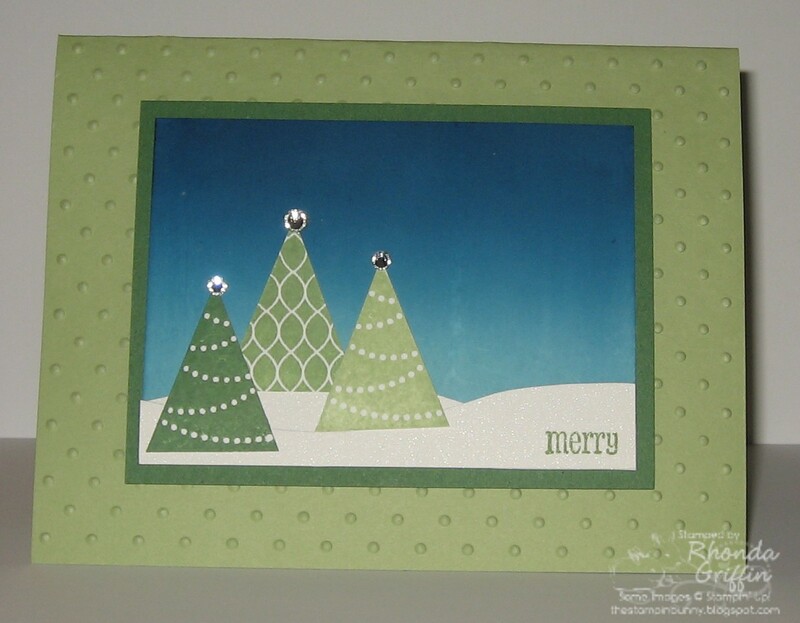 I also though a slight angle would be nice for one of the trees...keeping it even along the edge of the snow bank at the bottom...It is so fun to make the subtle changes you imagine might be pretty when you craft. I thought it might be fun to show a couple of things I've CASEd lately to try to help customers imagine changing cards and projects they have to fit the next occasion they need to celebrate. 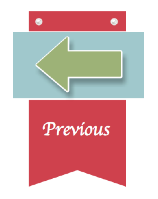 Today, tomorrow and Thursday, I will show things I've CASEd with changes. 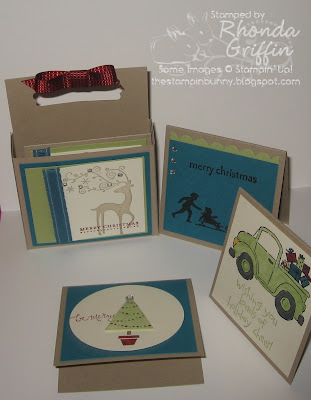 Today's is a cute 3X3 gift enclosure set of 4 cards with a little box to keep them safe. 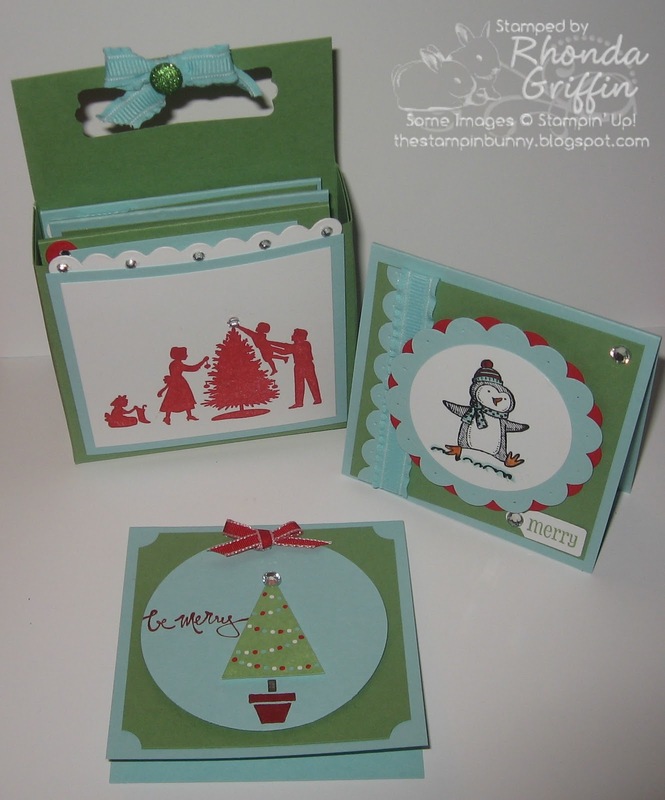 My friend, Holly Krautkremer created the set shown below for me last Christmas, and I thought it was so cute, I created some for Giftables Buffet next week. 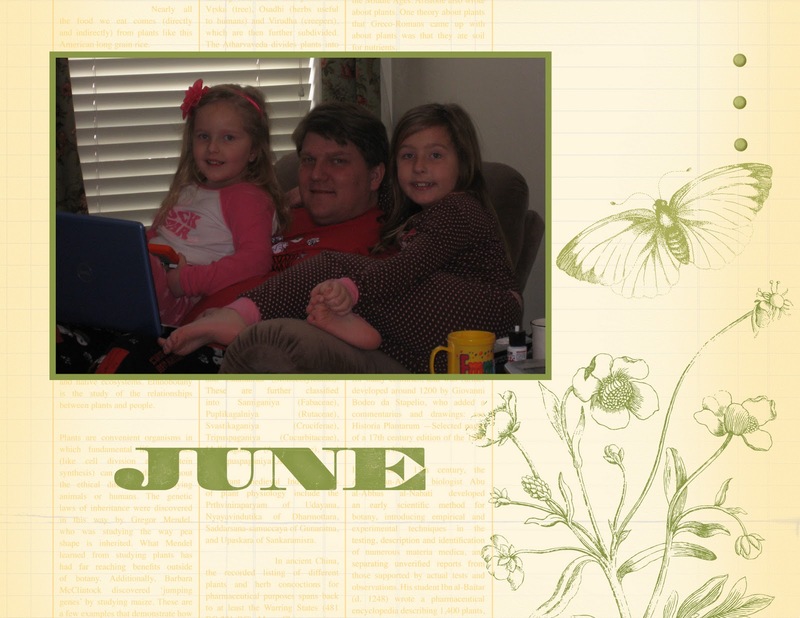 To provide an example to my customers of the wide variety of their image choices, I created this masculine set. 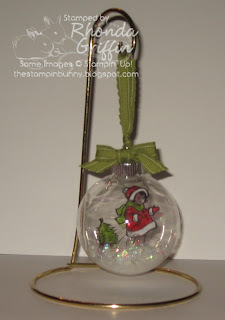 It has the same feel, and plenty of Holly's scalloped edges (which are adorable I think!) 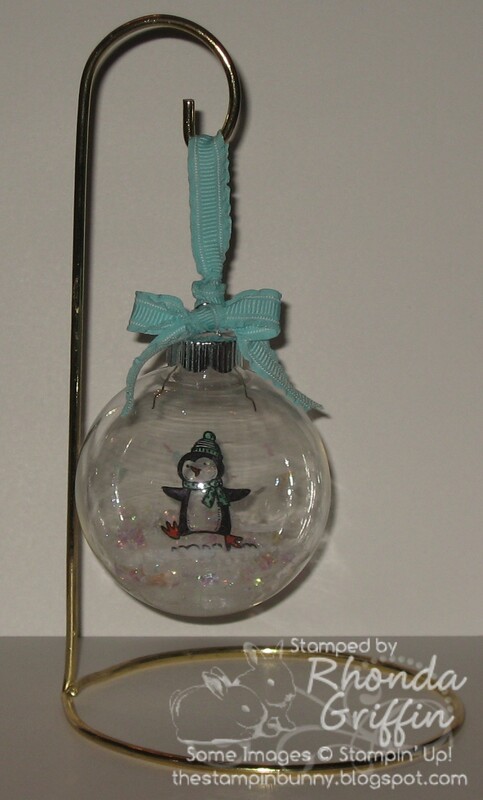 with just a little less decoration and ribbon. 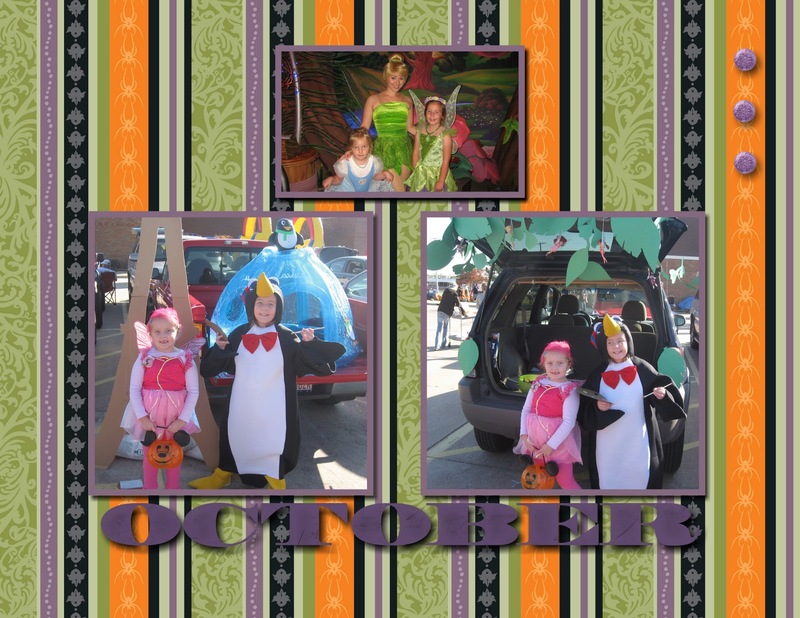 Customers can have full creativity with the provided materials. 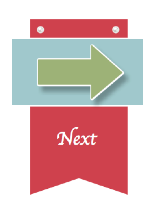 For example, they can make all Dashers or any other design or all different as shown. The only substantial changes I made were the stamps and then adding the 2-1/2 inch circle punch layers to some of the 3X3s to balance space with the smaller stamp images. For a bright, modern look, Wild Wasabi always adds a pop that makes colors clear and happy. I think Real Red and Pool Party make a festive color combination for this set with crisp white. 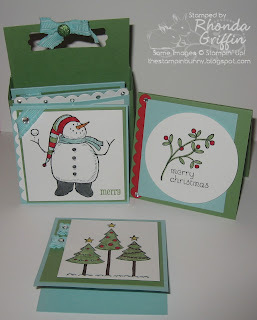 Here's Holly's set of Dasher cards: Don't you love the details? Such an adorable container and cards! The container is also a great size for storing the little sizzlets dies by the way. 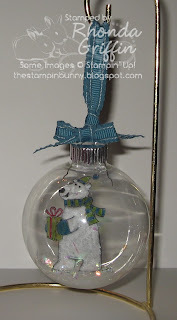 For Gift Class you might also enjoy making one or all of these clear glass ornaments with our Mica flakes inside. They are $2.50 each. 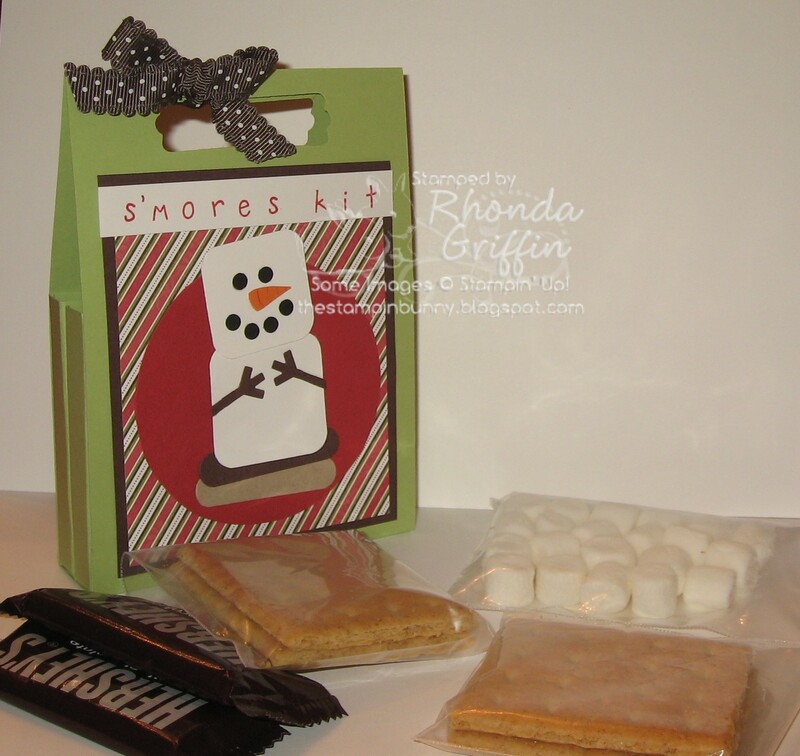 My friend Kim Bolzenthal gave me a similar snowman S'mores kit at Convention this year. 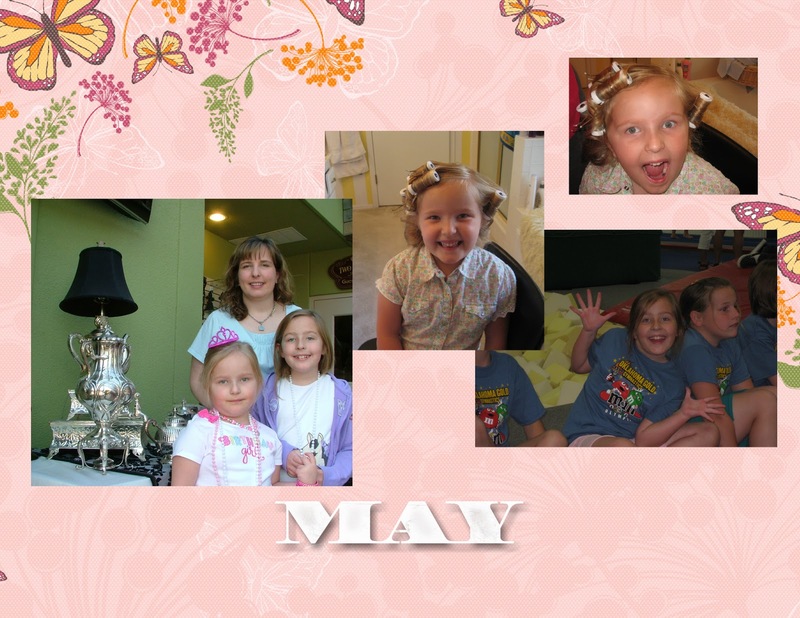 I had to copy her adorable creation for you all to make. 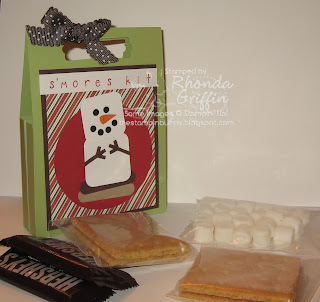 I will probably tuck a small gift card inside for one of the teacher gifts this year. 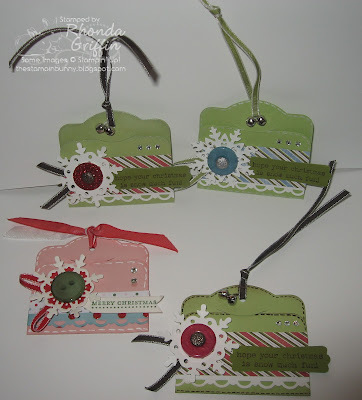 You could make these four little tags complete with bling and dimensionals at Gift Class on December 10th...They will be four for $1 and are quick and easy.